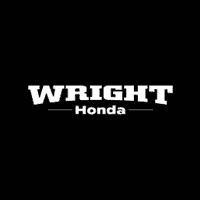 For those who seek to get the most out of their options, and prefer to have a lot of unique vehicles to choose from, Wright Honda stands out from the pack once again. Offering a wide selection of quality used cars, Uniontown drivers continue to trust our Honda dealership in providing the latest and greatest offers and passing them to you. There are over 30 well-conditioned used vehicles on the lot at any time, with new models, trim levels, colors and more being added very frequently. This level of volatility makes it imperative to check back often because the car of your dreams very well could be waiting for you at any moment. Browse our used cars in Uniontown today! Getting into a great new-to-you used vehicle is always an exciting time, but with the fantastic used vehicle specials at Wright Honda, car-shopping just got more exciting! In an effort to offer our drivers the most complete shopping experience for used cars, our Honda dealership in Uniontown is a trusted source for affordable vehicles day in and day out. When you shop with Wright Honda, you can be sure you’re getting affordability without sacrifice! The Honda Certified Pre-Owned vehicles in stock at Wright Honda offer drivers a unique opportunity to capitalize on our thoroughly inspected lineup of great used vehicles. These CPO Honda models have all been serviced and inspected by our skilled technicians, inside and out. The Certified Pre-Owned vehicles undergo manufacturer testing to ensure they meet all the requirements demanded of the vehicle. Explore our great inventory of used cars in Uniontown at Wright Honda. When you do finally get your hands on one of the used cars for sale at Wright Honda, we want to ensure you keep your beloved vehicle healthy and operating for as long as possible after you drive off the lot. For that reason, we highly encourage our drivers to visit the Wright Honda Service Center for all routine maintenance, repairs and more on their used or Certified Pre-Owned vehicles. Our skilled technicians work side by side to provide the utmost care to your vehicle. We ensure the service and parts used on your vehicle exceed your expectations and maintain your vehicle effectively. Whether your used car is from our vast inventory of new or used Honda models or even another brand entirely, the service center at Wright Honda has you covered inside and out. When it comes to offering drivers the most enhanced car-buying experience time and time again, Wright Honda continued to prove how we are the trusted car dealer for used cars in Uniontown, PA.
Our friendly sales staff make sure you are greeted with a warm welcome and are more than happy to answer any and all of the questions you might have. From the very first visit to our dealership to the many return visits afterward, our drivers are not just a number; they’re treated like family. Don’t take our word for it, call us to schedule a test drive or stop in to browse our extensive pre-owned inventory!